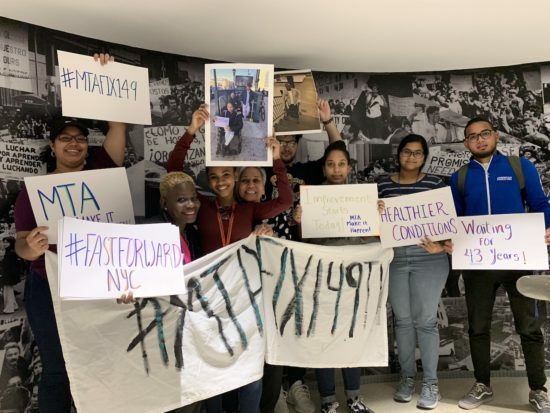 Overcrowded buses, subway delays and inadequate accessibility for riders were the key issues raised by the public at a MTA public meeting last Wednesday in Mott Haven. The New York City Transit Authority held a meeting at Hostos Community College to discuss its plans to modernize the subway and bus systems across the five boroughs. The Fast Forward project is set to be completed in stages and take less than 10 years, at an estimated cost of $37 billion, staff members said. The meeting came a day after the Democrats took control of the New York State Legislature in the 2018 midterm elections. That means Gov. Andrew Cuomo and New York City Mayor Bill de Blasio will have to work together despite their much-publicized, strained relationship in order to finance the project. With signs saying “MTA Make It Happen” and “Improvement Begins Today,” Bronx residents and advocates from grassroots groups Transportation Alternatives and Professional Staff Congress voiced their concerns and raised thorny transit issues that have long bothered residents of Mott Haven, such as the rundown station on the 2, 4 and 5 lines at 149 Street and Grand Concourse. 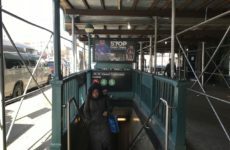 Other issues raised included fare evasion, subway safety, announcement systems and fare increases. 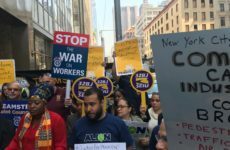 “We need to see patrol cops who will be assigned to stations and have an understanding of the community,” said Lizette Colon, a faculty counselor at Hostos. “If a place is dirty to start with then people will treat it as such. Start giving us clean stations in the Bronx just like it is in Manhattan,” she added. 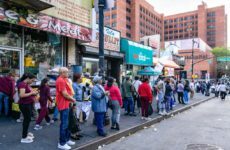 Discussion of the redesign of the Bronx’s notoriously slow bus system drew impassioned responses. One Melrose resident who works for the MTA at a West Farms bus depot, said the bus system needs to be fixed to prevent riders’ frustration from boiling over, leaving drivers to suffer the consequences. According to Sarah Myer, the chief customer officer at New York City Transit, a proposed new MetroCard system will provide riders the opportunity to tap and pay as they go by using their mobile phones, helping to speed up boarding. The plan also calls for new countdown clocks, which are planned for all of the city’s stations. Riders and those who were unable to attend the Nov. 7 meeting to provide input can share their ideas and feedback by completing the customer service satisfaction survey online at (www.mta.info/CustomersCount).